Northern Ireland manager Michael O’Neill has signed a new four-year contract as reward for guiding the country to this summer’s European Championship. O’Neill is currently joint-favourite alongside Neil Lennon to be the new manager of Celtic. 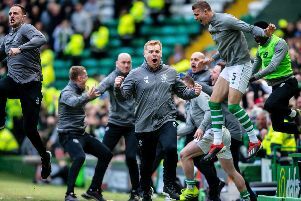 While his new deal will make it more difficult for the Parkhead club to prize him away, should they wish, there is still flexibility in O’Neill’s contract that would allow him to leave if the right club sought out his skills. It is understood a release clause of around £750,000 is what it would cost to release O’Neill from the contract, worth £2 million over four years. Northern Ireland continue their preparations for the finals with friendlies against Wales and Slovenia later this month. Before the squad announcement for those matches, O’Neill told www.irishfa.com: “After the qualification and euphoria of that it was time to sit down and discuss what’s next. “Discussions were always positive between myself and the association, I just felt that it was the right thing to give stability to the situation going into the finals and this is the first phase of the team continuing to develop. “I am extremely proud to be manager of Northern Ireland and I have thoroughly enjoyed the role over the past four years.